So what took so long? Pretty sure I blogged about the others before I went to see them, and I was there at 00:01 ready and waiting to be one of the first to see them. 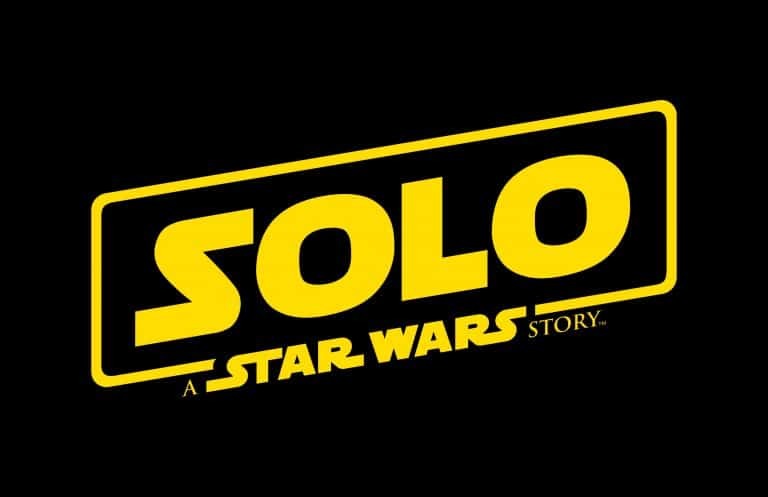 Solo was different. I think it’s the first Star Wars film that I’ve gone to see because I felt I should rather than really wanting too. I might have had similar feelings about EP II and III in the build-up to the movies being released but by the time the opening night arrived I was on board and inline for a midnight showing (I was at the Leicester Square Odeon in London for EPII and the Vue Light in Leeds for EPIII) with a group of (Star Wars) friends. Eaire this week I went along to the local Vue in Livingston, for an 11:00 screening and sat in a reasonably nice theatre with a decent size screen, very few other people, and all alone. I wasn’t excited, in fact, I was a little apprehensive as I really didn’t know what to expect or what I was going to make of the film. I’ve thought about it quite a bit over the last few days, have watched some of the somewhat vicious attacks and calls to boycotts on Youtube, and have read some of the seemingly endless comments on Reddit. So, what do I think? It’s OK. I didn’t dislike it and enjoyed some bits more than others. It’s not a great movie, but at the same time, it’s not a bad one either. It’s a pretty solid 7/10 (maybe 6.5 if your feeling harsh). After seeing EP VII one of my friends asked what I thought, and I said it was good but that’s all. His response was “so it was Disney good then” and I think that sum up Solo just as well. None of the Disney Star Wars films has been bad, but they haven’t been brilliant either, and all have a number of faults and flaws when comparing with the Original Trilogy. Solo reaffirmed my opinion that without a John Williams soundtrack a “Star Wars” film will never really feel like a Star Wars film. It was the biggest let down in Rogue One, and the small parts of Solo where it made an appearance were , in my opinion, the most enjoyable parts. I didn’t dislike the characters as much I thought I might, especially Han’s character. I didn’t think anyone could possibly play this and not have me thinking of Harrison Ford, but after the first 10-15 minutes, I’d kind of let that go. The Lando character was pretty much a copy of Billy Dee Williams, with the advantage of looking like a younger version. The other supporting characters were played well, and I felt some connection to them. The biggest problem for me is that whilst it’s set in the Star Wars universe, it doesn’t feel like a Star Wars film, even less so than Rogue One which didn’t have any John Williams music! I question why Disney needed to make this film, and how many fans actually wanted it made? Does it deserve all the online abuse? Well to be fair, most of the ones I’ve seen aren’t actually attacking the film, but how Disney is treating the Star Wars franchise. Some are even calling for fans to boycott the movie, so can’t even give an honest review as they haven’t even seen it! I think I agree with the general thrust of the negativity and think Disney could and should be doing a better job of developing the Star Wars Universe that they paid over $4bn for, but I think the personal vitriol for Kathleen Kennedy and Rian Johnson is a little OTT. Maybe the 18-month break until the last part of the new trilogy, EP IX, in December 2019 will give people time to cool down. The Star Wars park at Disney World in Florida should also have opened just before that too. I’ll be firmly in the camp of wanting to see both!